Here are five ways Amazon is costing our economy and undermining real job growth. Brick-and-mortar retailers employ 47 people for every $10 million in sales, according to an analysis by ILSR of US Census data. (If you exclude chains and look just at independent retailers, the figure is even higher — 52 jobs.) But Amazon employs only 14 people per $10 million in revenue. As Amazon grows and takes market share from other retailers, the result is a decline in jobs, not a gain. In 2012, Amazon expanded its share of retail spending in North America by $8 billion, which works out to a net loss of about 27,000 jobs. Another way Amazon gets by with such a small workforce is by leaning on the services provided by brick-and-mortar stores. Through its mobile app, Amazon actively encourages consumers to try-out merchandise in stores and then buy online. This allows Amazon to free-ride on the value created by other businesses. Take books, for example. Amazon now accounts for more than half of book sales. But, if you ask Amazon book shoppers where they learned about a book, only rarely is the answer Amazon. Far more often, according to research by Codex Group, they discovered the book while browsing in an actual bookstore. This article from Shelf Awareness reports on the President's jobs speech at an Amazon warehouse. The New York Times noted that "the White House came under fire because many Amazon jobs pay only $11 an hour, and the pace of the work at these warehouses has been described as exhausting." In a timeline of the presidential visit to Chattanooga, TN, the Times Free Press noted that while waiting for the president's arrival, "employees are warned not to talk to the media. Spokespeople for Amazon rove about keeping an eye on the press." You might not know that CreateSpace, a self publishing company, is wholly owned by Amazon.com - a company whose questionable business practices go beyond fair competition and instead give every appearance of hostility toward not just independent bookstores, but all bricks and mortar businesses. 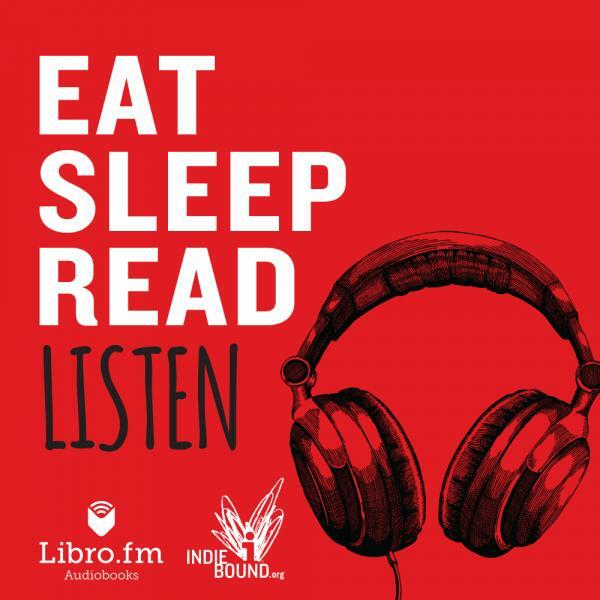 We take pride in our selection of books by local authors, and we created our Local Authors’ Programs in order to enable us to carry books by local authors who have self-published. However - since we also want to do everything we can to support Vermont’s strong local economy - we have made a difficult decision: Phoenix Books will not knowingly purchase or sell any books printed by CreateSpace, even if the book is by a local author. 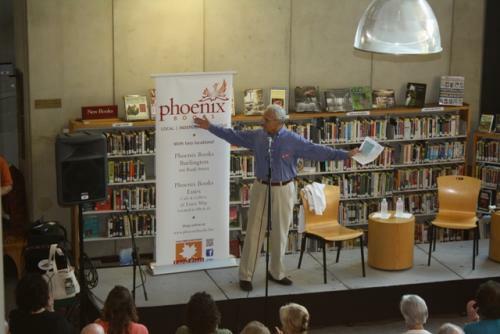 Also, Phoenix Books will not offer any services to the authors of books published by CreateSpace as part of a Local Authors' Program arrangement. For more information on the reasoning behind this decision, we invite you to read this article on our website and this letter from the American Booksellers Association. Then, please feel free to contact Mike DeSanto, co-owner of Phoenix Books, with any questions or concerns about this policy and/or the pros and cons of working with Amazon. Looking for other options? 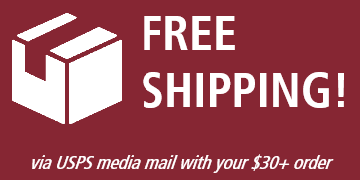 Check back soon; we'll be posting a list of local and national presses that are not affiliated with Amazon. Wake up, Vermont: Amazon sells everything, not just books. Many local authors publish through CreateSpace, owned by Amazon, runners buy running shoes from Zappo's, owned by Amazon, your babies’ diapers come from Diapers.com, also owned by Amazon - and the list is endless. Those sales all come out of the economy of our community. Now, the president is endorsing internet sales at the expense of all bricks & mortar retailers. My question is, could Amazon buy a president and would they sell him at a discount? Seriously though, I am writing about an appearance by President Obama at an Amazon warehouse in Tennessee, where, independent booksellers believe, he will equate Amazon with innovative, job-creating business that helps the middle class.The utter absurdity of that comparison is breathtaking. Without going too deeply into this, I ask, since when did $11 per hour become a middle class wage? ($11.50 is the average wage paid to Amazon warehouse workers.) Since when does a money-losing company become a poster child for success? What depresses me the most? Is it the man I voted for twice helping to tilt the competitive playing field in the favor of Amazon? Is it the Wall Street Oligarchs hypocritically voicing support for free market capitalism while creating monopolies left and right and in the middle? Is it Amazon brazenly pricing at a loss in order to harm competition, which once upon a time was thought to be illegal? Is it a recent Justice Department lawsuit against publishers on behalf of Amazon? Or is it my president apparently going along with it? Amazon doesn't surprise me. The president, however, is the greatest political disappointment of my life. I see him as a thief in the night, scurrilously sneaking up and stealing my hard earned business right from under my nose and giving it to Amazon in order to further his illusions of economic growth. More to the point, by endorsing Amazon he completely undercuts our own Local First Vermont program, helps destroy our city centers, encourages non-payment of state and local taxes, and furthers Amazon’s extremely monopolistic agenda, to say nothing of implicitly encouraging the entire population of the country to shop online. Sadly, it seems that President Obama is desperate to leave some sort of economic legacy in his waning years - even if it means destroying the small business legacies of countless others. I tell my children I will not leave them my bookstore when I die, because I love them too much to do that. I used to believe that a president of the United States was a president for all citizens. Today, I think he shills for Amazon.com. Today is a day that I question how I can continue to "love" America. For the first time in my life, I fear where our society is heading. For the first time I feel our country is "for sale" to the highest bidder. This comes after I have served my country in the US Army for 4 years, worked for Senator Hubert Humphrey and Senator Muriel Humphrey for 4 years, lobbied on behalf of small businesses for 20 years and owned them for another 18 years. I used to believe in the dream and now, with the help of my own president, it appears to have been a mirage and even a nightmare. How sad I am, and how powerless I feel. Yet, tomorrow - despite this betrayal of trust - I will open the doors of the store and continue to fight this fight. I hope you will join me. All told, according to the Institute for Local Self-Reliance, every $10 million in spending that shifts from Main Street retailers to Amazon results in a net loss of 33 retail jobs. That would mean for 2012 alone — using Amazon’s own numbers about its increase in sales — Amazon cost the U.S. economy almost 42,000 jobs just last year! 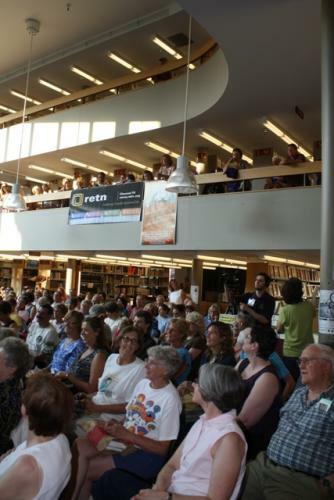 On July 8th, over 300 people attended "The Rock & Roll Book Tour" with Chris Bohjalian and Stephen Kiernan in Burlington, Vermont. 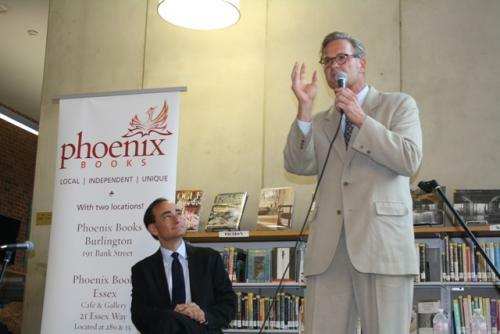 The event - which was co-presented by Phoenix Books Burlington and Fletcher Free Library - celebrated the launch of Bohjalian's and Kiernan's newest titles - The Light in the Ruins and The Curiosity, respectively. 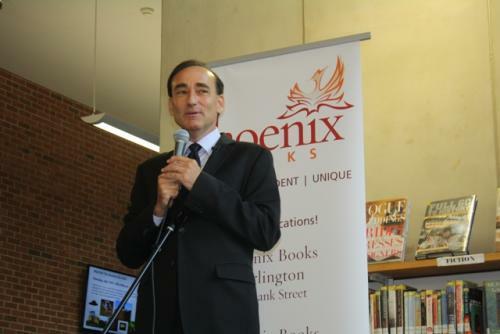 In addition to a book talk, sale, and signing, the evening featured t-shirt giveaways and an opportunity for attendees to win a visit from Chris Bohjalian to their book group meeting. 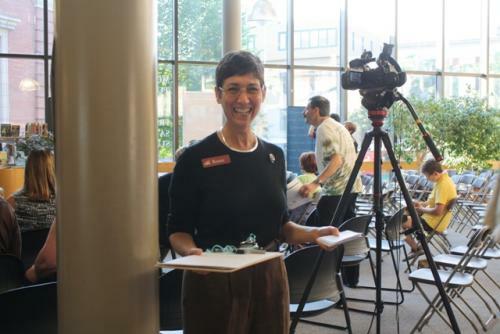 A portion of the proceeds from book sales went to benefit the library, where the event took place. 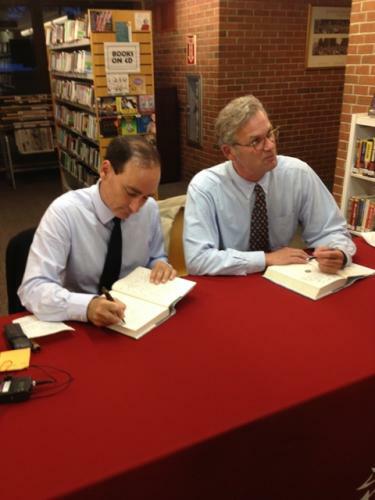 "The authors exceeded expectations with their appearance," says Phoenix Books co-owner Mike DeSanto, "They were received like rock stars. Just great and very exciting to watch them work the audience! Chris and Stephen provided an entertaining and interesting evening, and as the consummate professionals they are, left the audience wanting more. We're crossing our fingers for a reunion tour next year!" The Gallery at Phoenix Books Essex is now seeking artists for our Open Studio Weekend exhibit, "Inspired by Maddie." In 2011, Theron Humphrey decided to traverse the US, meeting and photographing someone new each day. Maddie the Coonhound rides shotgun—and has a special talent, an uncanny sense of balance. The blog and upcoming book Maddie on Things record their adventures. Our exhibit will feature photographs by Theron, as well as work by local artists and community members. Do you have an image of a dog, cat, or other pet on things? Let us know! Need inspiration? Visit maddieonthings.com. 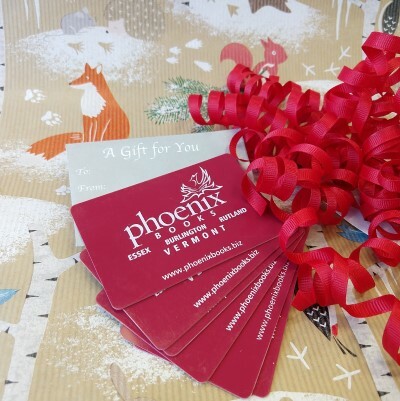 Contact colleen@phoenixbooks.biz for details.